Showcased at CES 2019, Samsung’s 2019 Smart TVs signify the next stage in the evolution of intelligent displays, as the screen becomes a hub for content and device connectivity in the home. This year’s lineup builds on the innovations of previous years, including the Universal Guide and the One Remote Control, to bring an enriched experience to the home. Equipped with the new Bixby, a voice-powered AI assistant, not only do the 2019 Smart TVs enhance your content experience, but they also widen the reach of connected living. What’s more, Samsung announced it will offer iTunes Movies and TV Shows and Apple AirPlay 2 support on 2019 Samsung Smart TV models beginning this spring. In an industry first, a new iTunes Movies and TV Shows app will debut only on Samsung Smart TVs in more than 100 countries. AirPlay 2 support will be available on Samsung Smart TVs in 190 countries worldwide. Bixby is an AI platform that asks intuitive questions, encouraging sequential conversations to better understand what users have in mind. 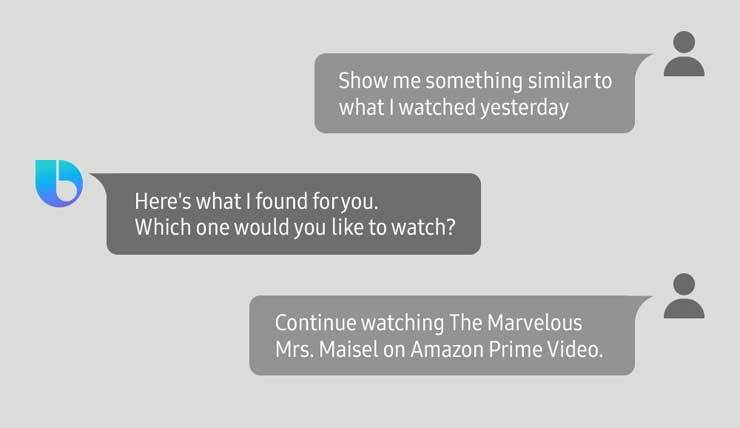 Just like how people get to know each other better through each conversation they have, Bixby learns more about a user’s preferences from each interaction, so the AI platform can make informed suggestions about what to watch. 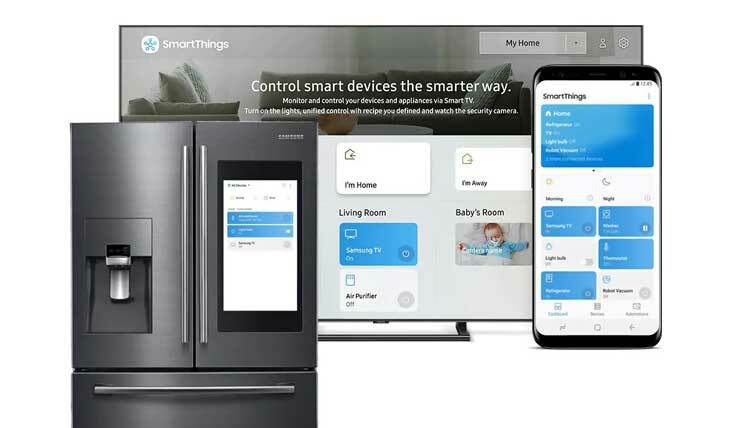 Samsung 2019 Smart TVs will allow you to control devices around the home with the integrated Smart Thingsdashboard. SmartThings seamlessly connects and controls smart home devices, delivering an unparalleled connected living experience. Using a SmartThings Hub and Works With SmartThings products from leading smart home brands, users can create automations that control devices or run scenes whenever certain conditions – such as the time of day, device status or the arrival and departure of family members – are met. For example, set the lights to turn on when you arrive home using SmartThings sensors or when your smartphone is nearby using location awareness. Thanks to the open ecosystem, Samsung’s 2019 Smart TV lineup is also capable of seamless interaction with Amazon’s Alexa and the Google Assistant. Users can navigate a range of simple operations such as turning the power on/off, controlling the volume, changing channels and launching apps all with their voice assistant of choice. Whether it’s by expanding content partnerships, enhancing AI capabilities or strengthening device connectivity, Samsung is committed to providing users with individual personalization and tailored services for its Smart TVs in 2019. Stay tuned in the coming weeks for more details on Samsung’s 2019 Smart TV lineup.